Producer/Director Don McGlynn has made more than a dozen musical documentaries since his first film in 1982: "Art Pepper: Notes from a Jazz Survivor." Since Don splits his time between Copenhagen, New York and Hollywood, we have gathered all of his films that are currently available on VHS or DVD in one place. Also listed below is a new line of audio CDs produced by Don that feature rare and previously unissued radio broadcasts by Harold Arlen and Louis Prima. with Ernie Andrews, Dexter Gordon, Clora Bryant, Dan Morgenstern and Kirk Silsbee. Associate Producers Kirk Silsbee and Mark Cantor. Executive Producer Celia Zaentz. Produced and Directed by Don McGlynn. (2000) With Keely Smith, Sam Butera, Gia Maione, Jimmy Vincent, Lou Sineaux, Bruce Raeburn, Will Friedwald, Leon Prima, Madeline Prima, Louis Prima, Jr. and Lena Prima. Produced by Joe Lauro. Directed by Don McGlynn. Louis Prima was the ultimate showman who shaped the whole Las Vegas showroom style. He was the voice of King Louie in Disney's animated JUNGLE BOOK. He wrote one of the all time great swing classics, "Sing, Sing, Sing," which he performs in this film along with his other greatest hits -- "Just a Gigolo/I Ain't Got Nobody" and "That Old Black Magic." Produced in cooperation with the Louis Prima estate by Ed Burke and Don McGlynn. 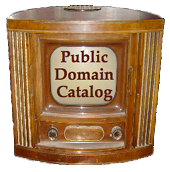 1934 to 1939 radio broadcasts. Louis performs 9 numbers with the Joe Venuti orchestra ("Sleepy Time Down South," "After You're Gone"), with Pee Wee Russell in the 1936 film short "Swing It" and with his own Jump Band on September 21, 1939 ("Comes Love," "Should I?" and more). 19 numbers from the mid-40's, many with Keely Smith: "Limehouse Blues," "Angelina," "St. Louis Blues," "By a Waterfall," "Alone," "Chinatown," etc. (1982) With Laurie Pepper, Milcho Leviev, Bob Magnusson, Carl Burnett. Produced and Directed by Don McGlynn. An intensely personal, painfully revealing portrait of one of jazz' greatest alto saxophonists -- a remarkably expressive soloist and composer who was also a drug addict, thief, prison inmate and all around wildman. (1988) With Milton Berle, Danny Thomas, Helen Grayco, George Rock, Billy Barty, Earl Bennett and many others. Produced and Directed by Don McGlynn. Spike Jones was the foremost musical humorist in the US during the 1940s and 1950s, topping the charts with surreal numbers like "Cocktails for Two," "Der Fuehrer's Face," "Laura" and more. They are all here in rare footage from Spike's TV show, soundies and live performances. (1986) With Harry, Herbert, John and Donald Mills. Produced and Directed by Don McGlynn. A comprehensive journey through the lives of perhaps the most successful vocal group of all time. The Mills Brothers not only recorded a host of million selling classics like "Paper Doll," "You Always Hurt the One You Love," "Till Then," "Glow Worm" and "Yellow Bird," all of which are featured in the film, but they were innovators who imitated musical instruments vocally. (1992) With James Stewart, Henry Mancini, Tex Beneke, Billy May, Mel Powell, George T. Simon, Ray McKinley and many others. Produced and Directed by Don McGlynn. The first documentary about this widely loved musical legend features numerous performances by the Miller band at the peak of their popularity doing "In the Mood," "Moonlight Sonata," "Kalamazoo," "Chattanooga Choo Choo" and "Pennsylvania 6-5000." Includes rare home movies, newsreel footage and a discussion with Jimmy Stewart and Henry Mancini about the film "The Glenn Miller Story." Sorry -- Currently out of print! (1996) With Ben Webster, Woody Shaw, Phil Woods, Bertrand Tavernier, Niels Pedersen. Edited and Directed by Don McGlynn. Perhaps best known for his Oscar Nomination as Best Actor for ROUND MIDNIGHT, Gordon was a charismatic and innovative tenor saxophonist. His entire musical career is presented in this sensitive and evocative documentary. You will hear Gordon in a variety of musical settings -- a cappella, with his quartet and quintet, and a full orchestra. Follows his 14 year residence in Copenhagen and his successful homecoming to the US in 1976. (1997) With Danny Richmond, Jimmy Knepper, Gunther Schuller, Snookie Young, Sue Mingus, Celia Zaentz, Wynton Marsalis and many others. Produced and Directed by Don McGlynn. Mingus was one of the most important composers of the century, and his words and music are carefully intercut with observations from many music associates and people in his private life. Previously unseen and extraordinarily rare material pulls this beguilingly complex and paradoxical figure into focus. Judy Garland sings "Over the Rainbow"
Bing Crosby: "Accentuate the Positive"
Tony Bennett: "That Old Black Magic"
Cab Calloway: "Blues in the Night"
Barbra Streisand: "Any Place I Hang My Hat is Home"
All CDs are produced in cooperation with the Harold Arlen estate from original radio broadcasts. Vol. 1: 1939 Radio Preview of "The Wizard of Oz"
73 min. live radio broadcast to promote "The Wizard of Oz" features all the songs with Judy Garland and the rest of the cast, commercials and much more. Dozens of Arlen's greatest hits -- "Over the Rainbow," "Get Happy," "Minnie the Moocher's Wedding Day," "Stormy Weather," "Lydia the Tattood Lady," "Blues in the Night," "Let's Fall in Love" -- are sung by Judy Garland, Bing Crosby, Nat King Cole, Ethel Waters, Cab Calloway, Johnny Mercer and others. Louis Armstrong, Benny Goodman, Tommy Dorsey, Glenn Miller, Jack Teagarden, Stan Kenton and more play Harold Arlen's classic tunes including "I've Got the World on a String," "My Shining Hour," "Accentuate the Positive," "That Old Black Magic," and more!